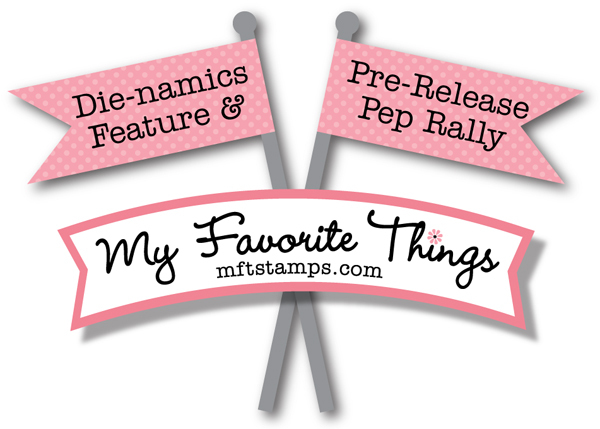 Inking on the Edge: My Favorite Things Stamps...September Die-namics Feature & Pre-Release Pep Rally! My Favorite Things Stamps...September Die-namics Feature & Pre-Release Pep Rally! 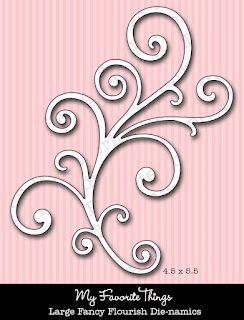 If you'd like to see all the designers' posts for today, please click on over to the MFT Blog NOW. Be sure to leave comments as you go for the chance to win one of 2, $10 gift certificates given away daily. The winners will be posted on September 10 just before the release party, on the MFT blog. 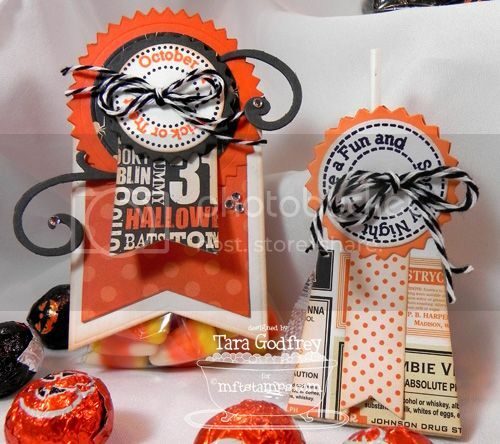 So, I decided to use the NEW Lollipop Treat Stamp and Die-namics and Jumbo Fishtail Banner Die-namics to make cute custom Halloween treat packaging. First, I had to make a trip to Laura Secord, my favorite chocolate shop and Canada's best know chocolatier! I bought some yummy treats and lollipops and then got to work! I used MME Haunted 6x6 paper pad and cut into my gorgeous new MFT Replenishments cardstock. 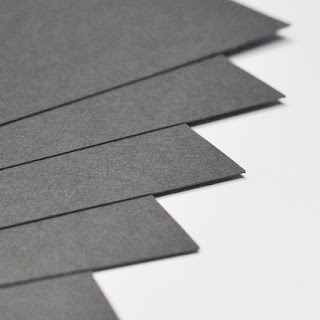 I used Kraft, Sweet Tooth, Whip Cream and the gorgeous NEW Steel Grey...LOVE, LOVE, LOVE the Steel Grey cardstock. 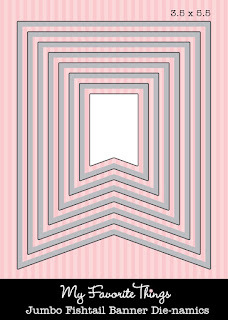 First, I made a small tent card by folding some Whip Cream cardstock in half and cutting it with the Largest of the Jumbo Fishtail Banner Die-namics, positioning the cutting edge of the Die-namics so it wouldn't cut through the fold at the top of the card. I think this makes the cutest little note or thank you card. 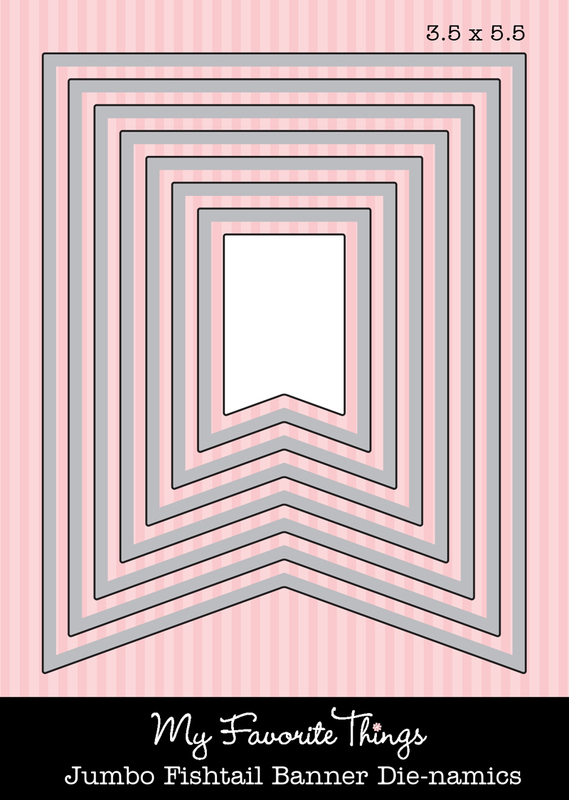 I embellished it with Medium Scallop Border Die-namics, the NEW Large Fancy Flourish Die-namics and the Award Seal Die-namics. I also used the NEW Lollipop Treat Stamps and Die-namics to create the sentiment circle and added a Steel Grey Button to the center with Charcoal Twinery Twine. Here I bundled up some Lollipops in a cellophane bag (the ones I didn't eat during the making of this project, lol) and tied it with some scrumptious Black Licorice Grosgrain Ribbon and added a Lollipop Treat Stamps and Die-namics sentiment circle to the center of the bow from the from with a Steel Grey Button. 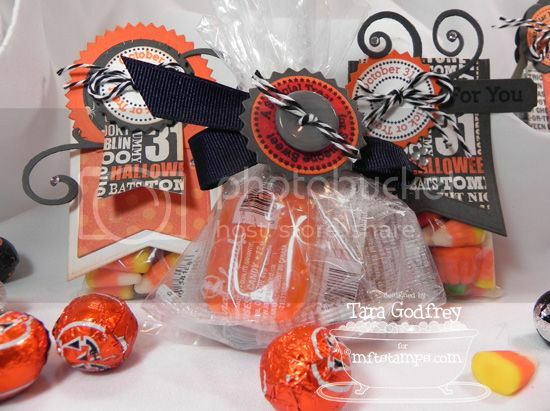 Here is some candy corn and candy pumpkins in a cellophane bag and I made a treat topper using the NEW Jumbo Fishtail Banner Die-namics and the Award Seal. 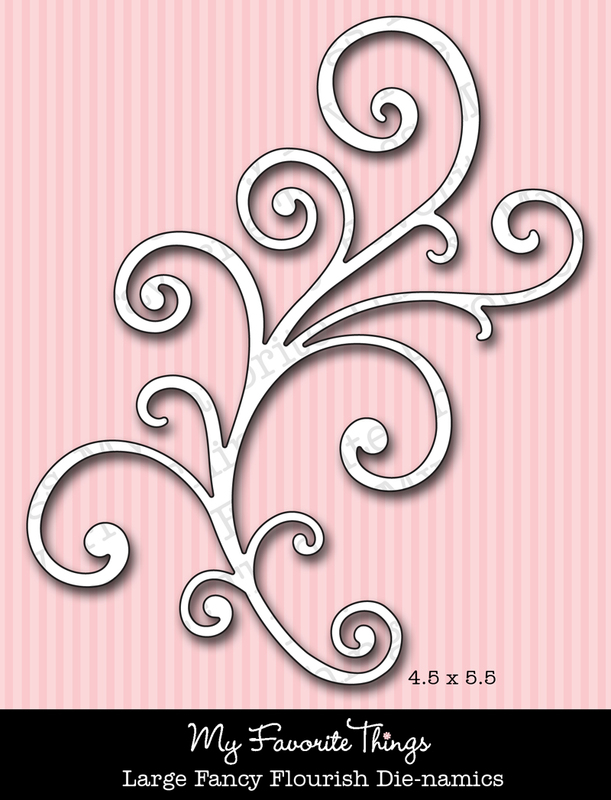 I also cut apart the Large Fancy Flourish cut from Steal Grey Cardstock...this is a great way to use the Large Flourish on smaller projects...love doing this. I also made a Lollipop Treat with the fabulous NEW Lollipop Treat Stamps and Die-namics Set. 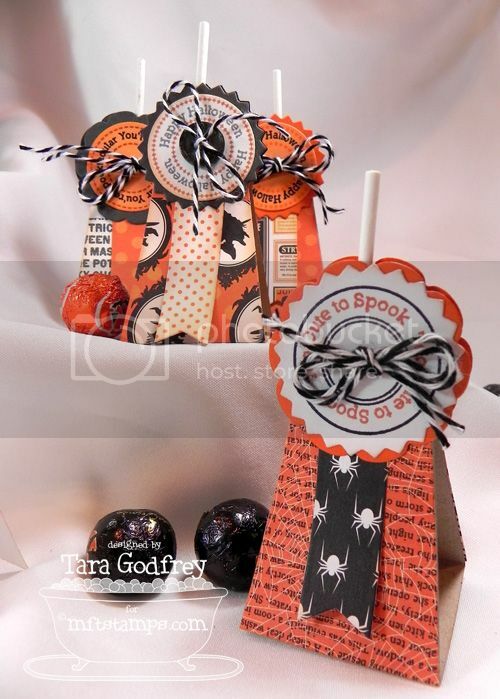 ....more spooky cute Lollipop treats. 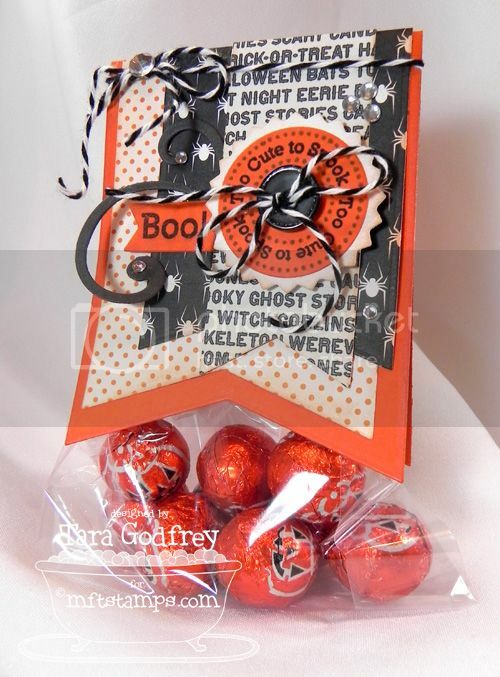 ...and some milk chocolate balls and another cute treat bag topper made with the NEW Jumbo Fishtail Banner Die-namics. This treat bag is filled with dark chocolate balls. 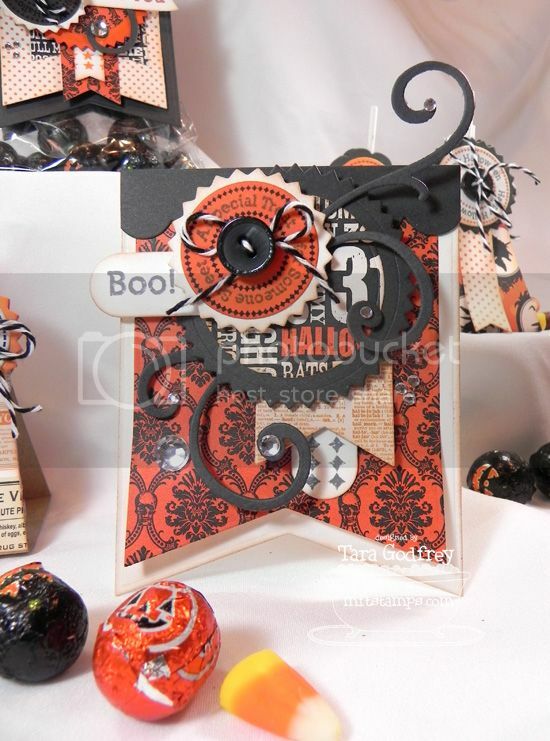 Well, thank you SO much for stopping by and having a wee peek at the Halloween treat set that I made with the NEW Lollipop Stamps and Die-namics set and the NEW Jumbo Fishtail Banner and Large Fancy Flourish Die-namics. Now, head on over to Kim's blog for links to all the wonderful inspiration from the other MFT Designers! Looks like there's going to be a party. What great treats. What fabulous projects for this release Tara. Those new dienamics are on my list and waiting to go into my shopping cart. Fabulous projects! Love the new steel grey! Wow, Tara! This is so much FUN! LOVE all the little gift bags and lollipop holders! SUPER cute! WOW! What a fabulous set, so much to see! OH MY GRACIOUS ~ this is over the top amazing!! LOVE LOVE LOVE IT ALL!!!! These are gorgeous! Love how you used the flags. Great papers! 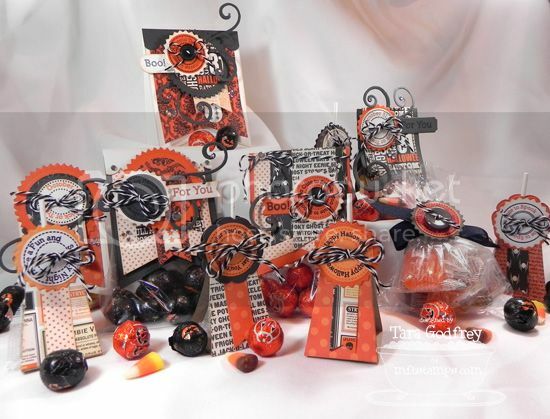 OMG this is awesome, love all these treats, great use of the stamp and die. Love these treats. You have been very busy! These treats look great! YUMMMMMMM!!! What fabulous treat holders!!! Gorgeous work!!!!! So adorable! I'm so excited for Halloween! This is super cute reveal once again. Fabulous! These are all super cute and fun!!! Adorable. Love your projects and the new dies. great job, Tara, thanks for the inspiration! really awesome!!! With every blog I visit the projects just keep getting better and better! Such a great collection of goullish goodies! What great treat ideas! yummmmm. Awsome job! Yummy and so delicious by just looking at them!